Sputnik, Apollo and the Space Race. If you watched the State of the Union address last night, you probably heard President Barack Obama mention those three things. The Space Race was an informal bout between the Soviet Union (USSR) and the United States (USA) over the ascendancy of space exploration, lasting from 1957 to 1975. The first success was by the Soviets during the Eisenhower era, with Sputnik being the first artificial satellite in space in 1957. Already, the Soviets led the competition. But with the Kennedy administration spearheading the Apollo program in 1961, the U.S. took the lead when Apollo 11 landed astronauts on the moon in 1969. "This is our generation's Sputnik moment. What does all this mean? A bigger focus on clean energy. But a bigger focus on greener energy means money. Obama claims he is going to urge Congress "to eliminate the billions in taxpayer dollars we currently give to oil companies" to help pay for clean energy research and development. 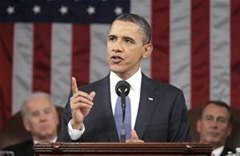 Obama also expressed his curiosity in solar shingles, which are the future for reliable and sustainable energy. Solar Shingles are solar cells and are also referred to photovoltaic shingles. They are designed to look like convention asphalt shingles. Solar Shingles were first made available in 2005. 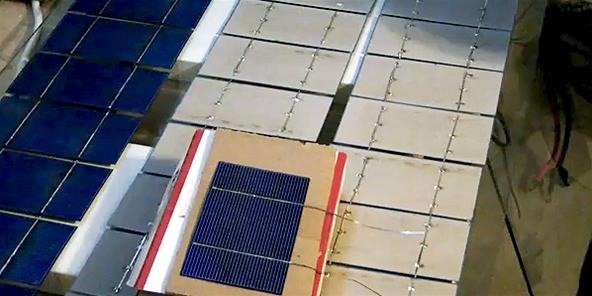 In 2009, this solar energy apparatus gained media attention when the Dow Chemical Company estimated that their entry into the solar shingle market would generate $5 billion in revenue by 2015 and $10 billion by 2020. 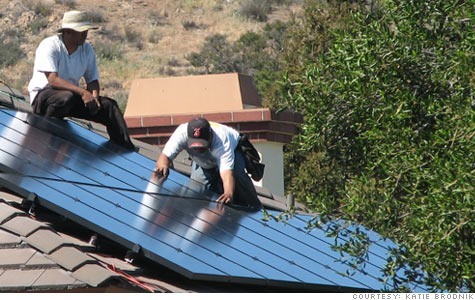 But in the world of DIY, solar shingles are not as easy, nor as cheap as creating your own solar panels. 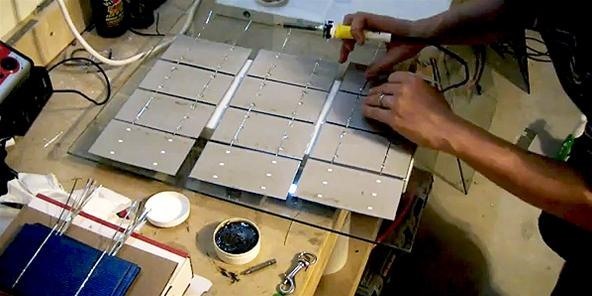 Making your own solar panels to help save energy and money on your electric bill is actually easier than you may think. DIY solar panels aren't as powerful as expensive pre-made ones, but for all you do-it-yourselfers trying to save a buck or two, these makeshift solar panels are a great alternative. Pete from MixCat will show you how it's done. These solar panels are made from solar cells, which are relatively cheap, at a buck or two a pop. The overall cost for the project will be about 1/3 the cost of store-bought solar panels. If you're looking to wean yourself off the electric grid and save money, this is the perfect project for you. For this solar panel, the solar cells are wired into a series circuit. It's 18 to 20 volts and 70 watts. For more solar energy ideas, check out our other eco-friendly ideas on WonderHowTo. I WANT DIY SOLAR PANELS, ALL I NEED IS "ONE" GOOD MAN!